The Absolute Suspension Sleeve optimizes comfort, durability, and range of motion. The sleeve is made of thermoplastic elastomer and covered with a reinforced Lycra®-type material. 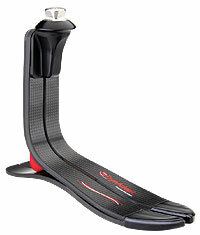 The preflexed design allows maximum range of motion and alleviates posterior bunching when the knee is flexed. The Absolute Suspension Sleeve is available in multiple sizes and your choice of beige or black. The Skeo family of silicone liners includes an internal matrix to reduce pistoning plus a slick outer surface to aid in donning and doffing. 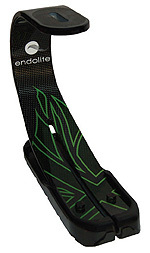 Choose from a variety of options that include preflexed for enhanced fit, and SkinGuard protection to reduce odor. Our copolymer liners are ideal for lower activity patients, and our Anatomic 3D Urethane liner is preferred for Harmony vacuum or valve systems. 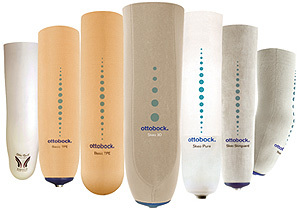 Whether your patients need a silicone, urethane, or copolymer solution, Ottobock can help you find the right fit. Call your local sales rep to find out more. 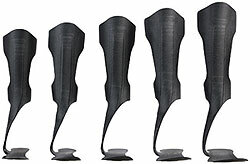 Coyote Composite is made by melting basalt (volcanic rock), which is then extruded into a filament and braided to our proprietary specifications for use in prosthetics and orthotics. Basalt has applications in fields that demand extremely tough, lightweight material that retains flexibility, including the aerospace and hockey equipment industries. 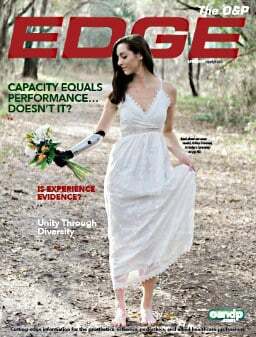 Fully compatible with all prosthetic resins. Because of its superior saturation, Coyote Composite finishes as good as, or better than, carbon laminations. 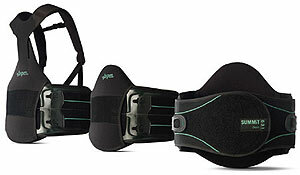 The same level of therapeutic pain relief and support you rely on with Aspen's sized Summit braces is now available in an adjustable brace. The patented Sure Slot™ sizing mechanism offers multiple sizes in one brace that comfortably fits waists 26-60 in., and up to 70 in. with the extension panel. One-size adjustability means the correct size is always on hand, minimizing inventory requirements and significantly reducing costs. Adjustable and sized Summit 456, Summit 637, and Summit 631 braces are available and offer experts significant modification options to support various patient conditions. 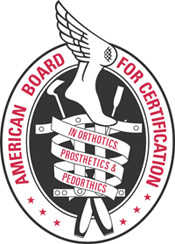 Codes L-0456, L-0637, and L-0631 approved. 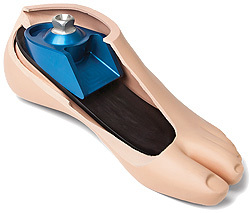 The Seattle Victory Foot features the patented S-shaped shank, which absorbs shock at heel strike and actively plantarflexes to provide increased ground compliance and smooth rollover. The split keel and narrow shank provide multiaxial compliance to uneven terrain, increasing stability and limb comfort. 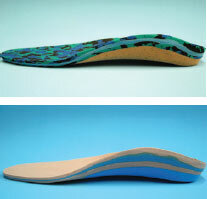 Improved full-length keel shape enhances mid-stance transition while increasing energy return at toe-off. Lightweight materials reduce fatigue for active lifestyles. 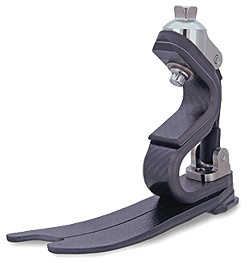 The KMO™ (Knee Management Orthosis) features a single posterior jointed, modular frame that is a cost-effective, patient-friendly, and simple approach for optimal sagittal static progressive positioning and stabilization of the knee, as opposed to the limited adjustability of common knee immobilizers. The ROM positioning is adjustable from 0 to 110 degrees (additional ROM may be attained and alternate customization options are available). Indications for the KMO™ are pre and post operative management of bony and soft tissue injuries, neuromuscular weakness, or contracture management. The KMO™ is protected under U.S. Patent No. 7,122,016; the PDAC-approved L-Code is L-1831. 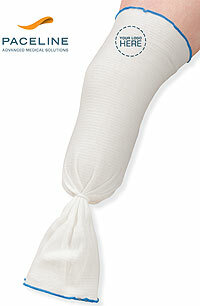 A soft, thick, one-size sock that enhances patient comfort and manages limb volume fluctuation. 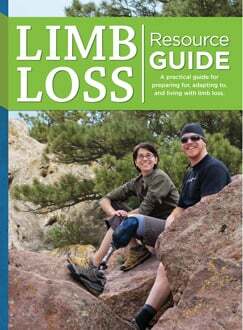 An affordable, easily adjustable limb protector that fits both left and right side transtibial residual limbs. A combination that works for your patient and for your budget. 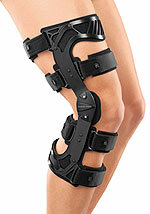 Available from Friddle's Orthopedic, SPS, Cascade, and PEL. 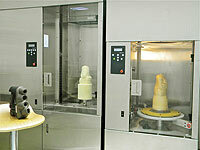 automation in facilities of all sizes.